Standard Rooms: 9 amazing decorated rooms available. 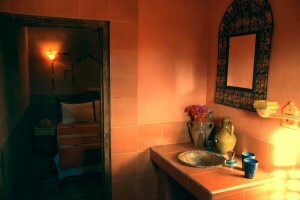 These rooms offer private bathroom and are fully equipped with air conditioner and heater. 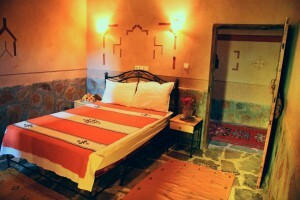 Most of the rooms have a small private terrace, overviewing the palm grove of Tamazight and the Saghrou Mountains. 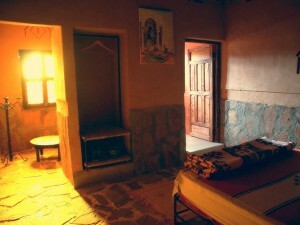 Accommodation is available in double and twin rooms.